Food Adventures of a Comfort Cook: Spring Fling Brings Fairies, Dancing and Cheer. Spring Fling Brings Fairies, Dancing and Cheer. May Day, or Beltane, a festivity dating back to ancient times; rejoicing the season of Spring, impending Summer, and the abundance that is promised to come. Of all cultures who acknowledged this holiday, the Celts and Druids of the British Isles are most known for it, and the dancing round the May Pole. However, this is where history becomes “like a big ball of wibbly-wobbly, timey-wimey stuff” with Brits, Germanic tribes and newly Christian Romans intertwining. In Britain, May Day customarily saw the setting of new fire; thought to lend life to the ever lengthening sun. Cattle were driven through the fire to purify them, while men and their sweethearts passed through the smoke for good luck. With the invasion by Germanic tribes, the ritual of the may pole symbolized the “male appendage” placed into the “female opening” of the earth. I’m being delicate in the description here, but I’m sure you get the gist of the rite. Anyway, then came along the Roman armies, newly baptized into Christianity; and what better way to get nonbelievers on your side then to incorporate some of their beliefs into yours. 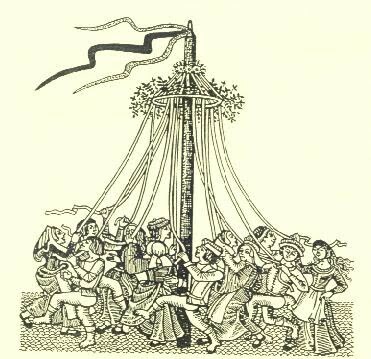 Throughout the Middle Ages, every village had a may pole; the Puritans condemned the practice, but it came back once they were thrown out of England and sent to newly discovered America. Jumping into the 20th century, celebrating May Day became a huge part of New Age/Pagan paths as the “weefolk” or fairies were most active on Beltane Eve. To appease them, and guarantee harvests were not messed with (fairies are mischievous, you know), feasts were served with much singing, dancing and “under the cover of night” activities. Personally, my husband and I participated in the annual Fairie Festival at Spoutwood Farm which featured vendors, magicians, dancers and music by Clann An Drumma, Scots Gaelic for "Children of the Drum", a tribal band from Glasgow, Scotland, and Blackmore’s Night featuring Candice Night and Richie Blackmore (Deep Purple, Rainbow). Dressing up in costume was not required, but added to the experience; and yes, we did dress up, including rather good British accents. Now speaking of fairies and feasting, Fairy Cakes, as they’re referred to in the United Kingdom, are smaller versions of what Americans call cupcakes. While they are mostly served to children, they can be enjoyed at tea shops, or as part of the daily “tea time” faire. The name, Fairy Cake, refers to the look of the little cake; the top carefully scooped off, cut in half, and placed on top of the icing to simulate the wings of a fairy. The icing itself is typically butter cream which will stay fluffy, and not dry out and harden; food coloring can be added to different batches. Small edible decorations, or sprinkled colored sugar, may or may not adorn the little cakes. Preheat oven to 375F. Line 2 – 12 cup mini muffin pans with mini baking cups. In a large bowl, cream together the butter and sugar. Add one egg at a time and beat until well incorporated; add vanilla extract and slowly add milk till smooth. Gradually mix in flour into bowl; scrape sides to incorporate all ingredients well. Fill each baking cup ¾ full; bake for 15-20 minutes, or until golden brown. Let cool before frosting. This white frosting can be divided into batches and made into different colors using food coloring. In a large bowl, medium speed, beat butter till smooth. Add in confectioner’s sugar; reduce speed to low and incorporate well into butter. Increase speed back to medium, add in salt, vanilla extract and cream; beat for 3 minutes. If frosting needs a stiffer consistency, gradually add more confectioners’ sugar; if it needs to be thinner, add a tablespoon of heavy cream till desired consistency is achieved. 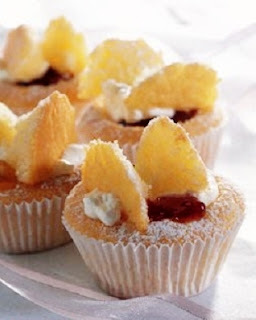 Using a tablespoon, carefully carve out top center of each cupcake; cut in half and set aside. Fill scooped out center with frosting and finish off entire top of cupcake with frosting. Place cake halves on top, standing upward, and “brush” some frosting upwards from the bottom of the halves. This will give the appearance of “feathered” wings. Colored sugar or edible decorations can be placed on the frosting. 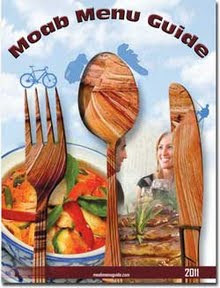 What a fun and delicious way to celebrate May Day!